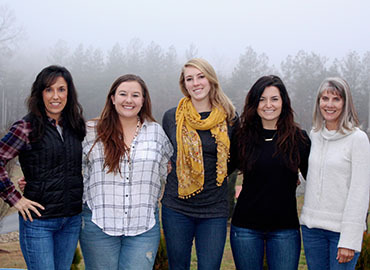 Overmountain Vineyards (OMV) sits on a 70-acre family-owned farm in the Tryon Foothills of Polk County, NC. 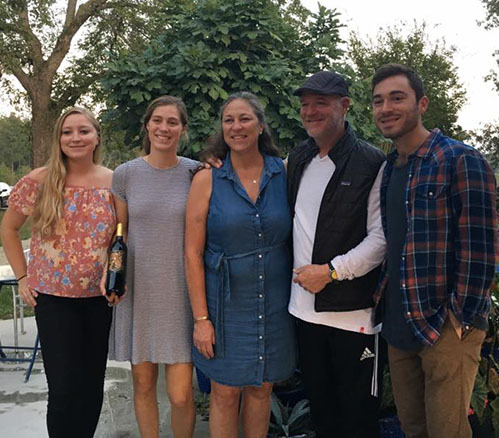 Winemakers Frank Lilly and his daughter Sofia use innovative techniques to develop handcrafted and distinctive French-style wines. The Tasting Room at Overmountain Vineyards, opened in 2010, welcomes guests year-round. The front porch offers stellar views of the foothills — or you can choose more intimate seating areas or large-group gathering spaces. For the safety & enjoyment of our guests, pets are welcome on a leash. Our team looks forward to welcoming you to our vineyard. Sit back, relax and enjoy the scenery and the wines. 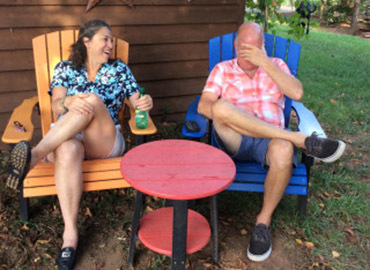 Frank and his wife Lita bought the land that is now Overmountain Vineyards in 1990. Frank and the family began planting Cabernet Sauvignon in 2000 and over the next four years planted four other varieties. In 2007, Frank enrolled in the Viticulture and Enology program at Surry Community College, and studied there for two years. 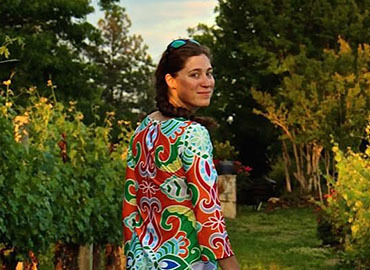 Frank also had the privilege of working under Lee Griffin, the owner and winemaker of Rockhouse Vineyards, a true trailblazer in the North Carolina wine industry..
Sofia Lilly, second-generation farmer and winemaker at Overmountain Vineyards, grew up on the farm and in the vineyards. She has been involved in the winemaking and vineyards since the very first vintage. In 2014, Sofia graduated from Western Carolina University with a Bachelor’s degree in Biology and English. She chose to return to Overmountain Vineyards and is highly involved in the family business. Sofia is studying through the Court of Master Sommeliers to become a certified sommelier. Our Tasting Room staff are ready to welcome you to the vineyard, tell you about our wines and offer a tasting, glass or bottle of wine. They always enjoy meeting and talking to people from all over the country and educating them on Overmountain wines and the Tryon foothills area.